Quantum Touch Energy Healing is a powerful method of natural healing. It uses the energy of the client and the Healer to focus and amplify life-force energy, or Chi. It combines various breathing and energy awareness exercises. Especially effective for emotional issues! It can be done in person or long distance. So don’t delay. Call today! $60 Please continue to read for more information. I am able to distinguish between physical and emotional pain issues, based on the reaction that I feel from your body’s energy. How many sessions will you need? If you would like multiple sessions, you can save $10 on your next scheduled sessions by prepaying via the website. A real money saver and very convenient. It may relieve your stress, calm your nerves, relax the mental, physical, and emotional factors you face every day. I look forward to scheduling your appointment! 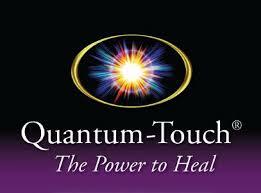 Call Karen today at (618) 696-6411 or complete the Contact Form to schedule your quantum-touch healing session. We understand that events occur that may prevent you from keeping your appointment, however, management reserves the right to charge the session fee or a portion of it in the event of a no show.